Autonomous driving has to have a winner, right? The industry will produce multiple winners and Nvidia will be one of them. Back in the day it was just called Google. But the company that has morphed into Alphabet Inc. (GOOG - Get Report) (GOOGL - Get Report) is also a pioneer in the autonomous driving movement. After developing and then honing the technology over the past decade, the company's self-driving car unit has become enough of a formidable business that it's gone from the "other bets" category at Alphabet to its own unit: Waymo. Despite these early-mover efforts, though, Waymo isn't the only autonomous driving game in town. In fact, many companies are in on the mix and that goes for technology and automotive companies: Tesla Inc. (TSLA - Get Report) , Apple Inc. (AAPL - Get Report) , Intel Corporation (INTC - Get Report) , General Motors Company (GM - Get Report) , Ford Motor Company (F - Get Report) , Qualcomm, Inc. (QCOM - Get Report) , Broadcom Ltd (AVGO - Get Report) , BlackBerry Ltd (BB - Get Report) -- the list goes on and on. But arguably the leader in this movement? Nvidia Corporation (NVDA - Get Report) , which along with Alphabet, Apple and Broadcom, is a holding in Jim Cramer's Action Alerts PLUS Charitable Trust Portfolio. We wouldn't dissect a smartphone, find the chip that powers most of the devices and claim that as the smartphone winner. More often, we'd look at what brand is winning in sales. Right now that's Apple, previously it was BlackBerry and before that, Motorola or Nokia. When it comes to autonomous driving, though, the measure is different. Because all of these companies will have self-driving features and capabilities, it's impossible to pick one based on the same merits as a smartphone, for instance. That's why rather than saying the so-called winner or leader in the autonomous driving race is an automaker, I think it will be whatever technology becomes most prevalent. Some -- like at Chrysler Automobiles NV (FCAU - Get Report) -- may utilize Waymo's technology. Others, like GM, may build out their own technologies. But a large number of autonomous vehicles (AV) will be built of Nvidia's DRIVE platforms. With the recent self-driving Uber fatality, safety is more paramount than ever. But thanks to Nvidia's new platform, the company is finding alternatives to on-road testing. By being able to create synthetic environments for autonomous driving software, those using Nvidia products can greatly increase the safety of their testing, while also improving the system's capabilities. Further, autonomous driving requires an insane amount of computing power. In fact, not long ago, industry insiders said computing power was one of the largest hurdles to full-blown autonomous driving. That hurdle has been cleared, according to Nvidia's senior director of automotive Danny Shapiro. Now it's down to refining the software to be as effective, safe and dependable as possible. 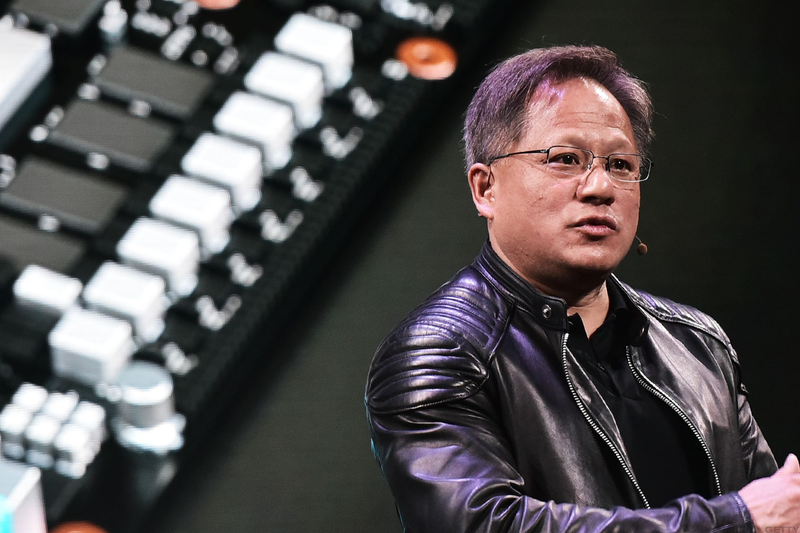 Nvidia can help on both of these fronts, powering A.I. both outside and inside the car. In other words, it offers both the products to make self-driving systems a reality, while also offering the infrastructure in which these systems are built. In a nutshell, it's an autonomous driving ecosystem. For that reason, it seems probable to me that Nvidia will be one of the biggest winners in autonomous driving. It already has more than 370 partners working with its products -- including Airbus for autonomous air taxis! Simply put: Nvidia has too many solutions and its technology is too good for the company not to be a big winner in this space. You can't (easily) build a self-driving car system from scratch. Nvidia produces the necessary tools for the hundreds of companies looking to build these complex systems on their own. What Is Book Value Per Share and How Can It Help You in Investing? Book value per share is a reliable barometer of a stock's potential value.